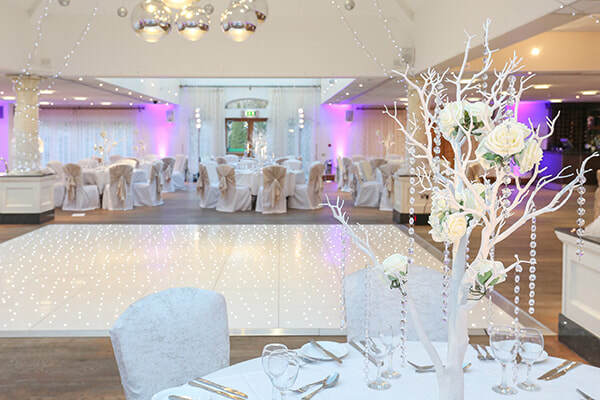 ​Licensed for weddings and civil ceremonies, the Orsett Hall Hotel is proud to be the only wedding venue in Essex with a Chapel on its grounds. 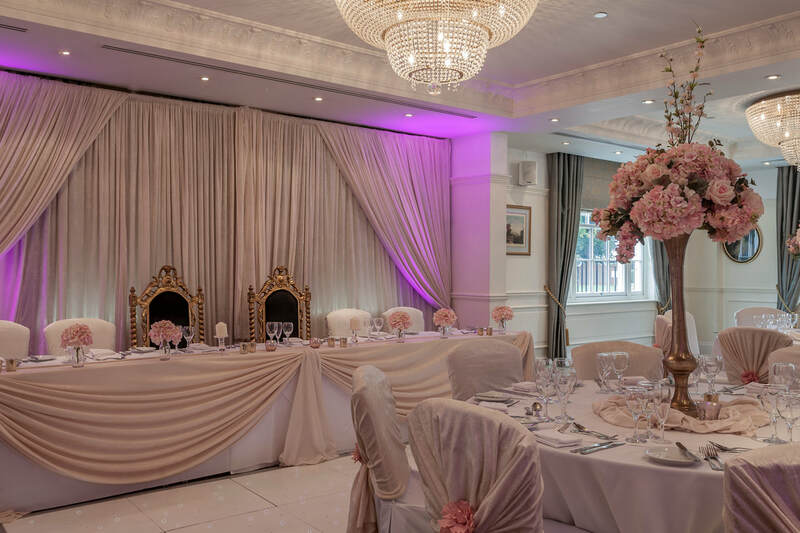 Our function suites are fully wheelchair accessible and can accommodate as many as 520 seated guests; we also offer facilities for couples whose religious or cultural backgrounds or beliefs require more strict control of their wedding arrangements (including outside catering). Situated in a private and quiet corner of the grounds, the Chapel is licensed to conduct religious and non-religious wedding ceremonies, as well as civil partnerships. Its stunning interior resembles something out of a fairy tale and must be seen in person to be fully appreciated. 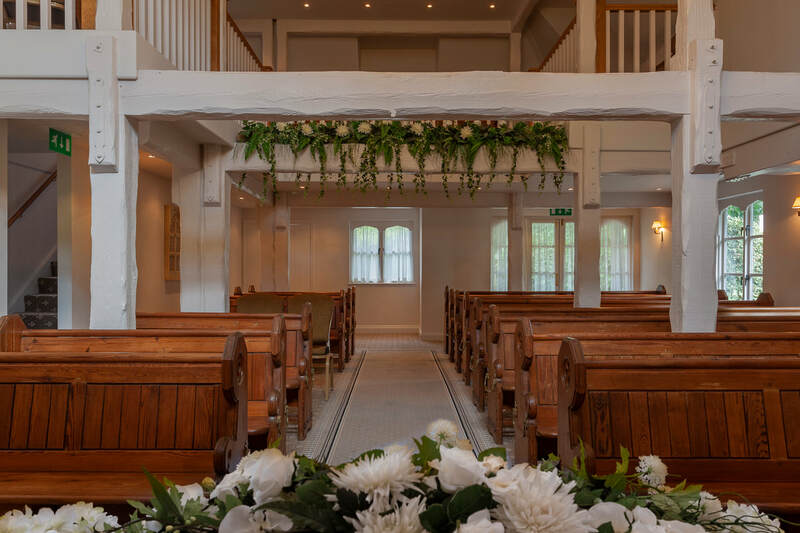 Designed in soothing pastel tones and framed by elegant white beams covered in white flowers, the Chapel offers traditional seating and a large balcony where additional guests can be seated and music can be played. There is a lovely pathway from the main hotel to the Chapel, and if the weather is unkind we are happy to drive the wedding party the short distance. No other venue in Essex offers anything like our Chapel. With its exquisite chandeliers, period fireplace and large window areas, is a bright and welcoming setting for a wedding. 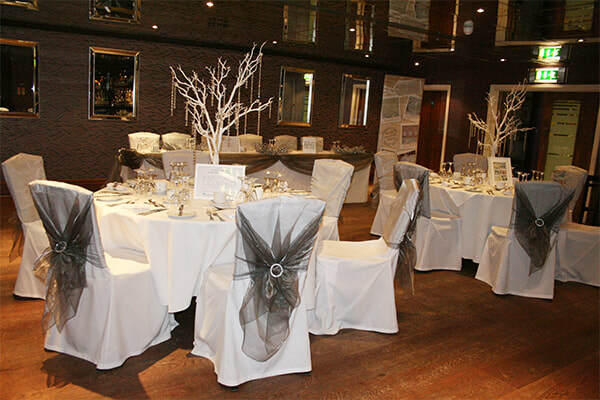 It can cater for up to 100 guests sitting down, and up to 200 for an evening reception. The Jaguar Bar is situated on the lower ground floor; it’s a contemporary venue with a mirrored ceiling, and can be hired exclusively for up to 100 guests, or as an addition to the Pavilion. 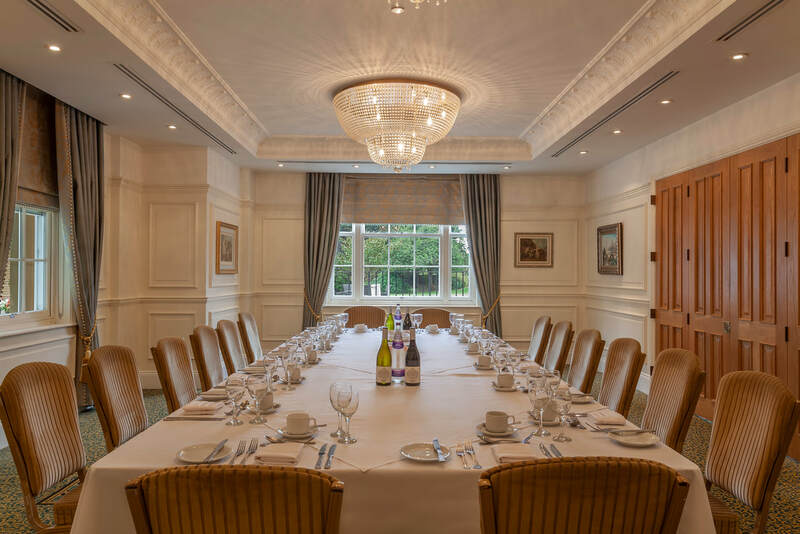 At 575 square metres, the Grahame Thomas Pavilion is our largest suite; it contains its own private bar and can seat up to 520 people for a banquet or wedding. The Pavilion is fully air-conditioned and even boasts its own koi carp pond and bridge, where outside seating is also provided. 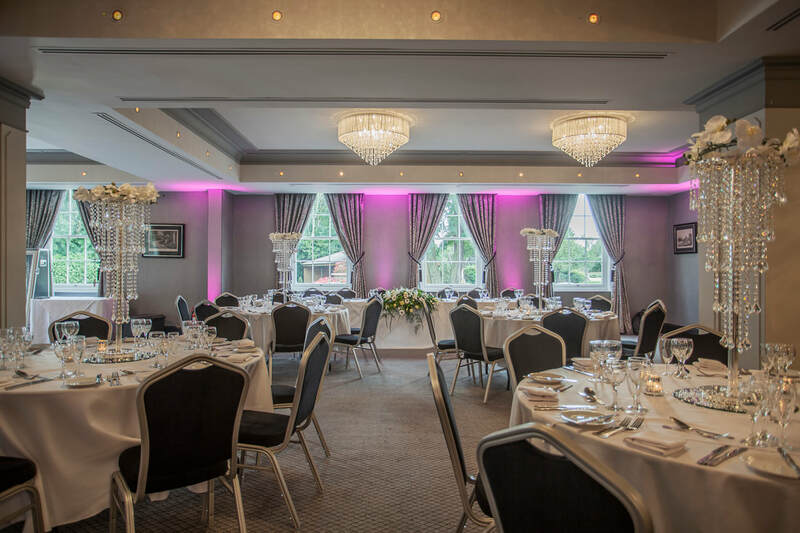 The Whitmore Suite is decorated in warm rich tones and can comfortably accommodate up to 150 seated guests, or 250 for a standing reception. It includes a large bar, and is the perfect venue for a special occasion. The Blue Room is adjacent to the Gold Room and can be hired out with the Gold Room as one complete package.